CHAPTER 3 - What? Me Worry About Choking? What contributes to choking is worry and anticipation of an event occurring. Have you ever had worry about choking? Less stress = Less worrying = Better performance. As a former Sport Psychology professor, my published research was focused on helping golfers overcome the yips in golf. The yips are an involuntary twitch, flinch, or freeze in the putting stroke before contact. This has happened to surgeons, dentist, musicians or someone throwing the ball from 2nd base to first base. Any performance field that requires precise hand movements is susceptible. The YIPS are more than just poor putting or thinking too much or even missing a putt under pressure. Theses golfers had a visible involuntary twitch. It was very tough for these people to live with. What was amazing and hopeful at the same time is that the yips did not happen all of the time, and rarely, if ever, on the practice green. The precise movements of a putting stroke or surgical technique are engrained in specific pathways in the brain. These pathways and connections became frayed. It was a neurological issue that manifested because of the fear and anxiety. So, although there was an involuntary twitch, fear and anxiety was a trigger to the yips. The fear or worry about choking was that they COULD yip it! It's what caused anxiety, tightness, obsession (all things common with choking), which then led to the neurological issue; the actual yip itself. 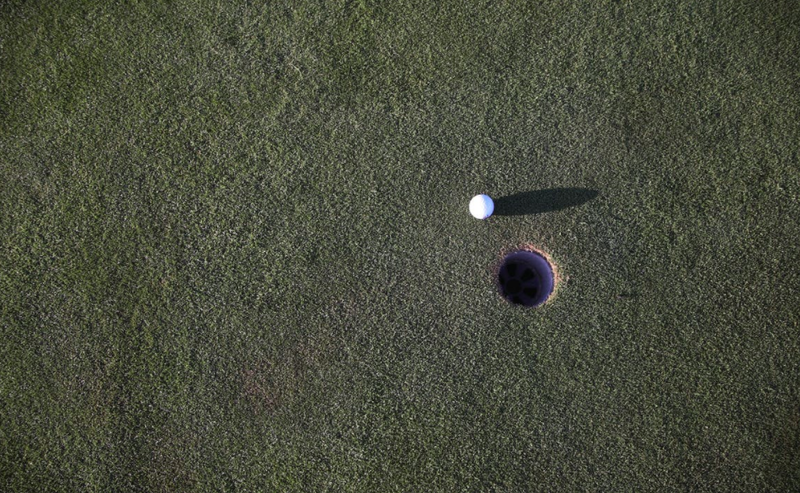 The negative cycle of the yips took place like this: The pressure of having to make a putt in a round caused fear and anxiety that served as a tripwire to the yips actually occurring. Get a copy to go! It just takes a few seconds and then you can read it whenever you are ready.